It’s a busy time for Alt J . The English indie-rock group have their forthcoming third album, Relaxer, To be released on June 2nd. They’ve got a US tour and then some european and UK dates on the books that will take them across the U.S., Canada and Europe. And they’ve spun off two singles, including “In Cold Blood” which they recently performed on Jimmy Kimmel and just dropped a violent, cinematic video for this new single. The video features narration from Iggy Pop, and might be the darkest and most violent thing featuring a mouse maybe ever . It’s not entirely clear what kind of deal has gone wrong in the clip, but there are plenty of dead and dying people that the leading mouse is trying its best to avoid. Whatever the case, the wood mouse is one resilient little critter. We love working with great directors, giving them the creative freedom to interpret our tracks as they wish. It leads to great collaborations, like this new video for In Cold Blood from Casper Balslev. As you are about to find out, a day in the life of a wood mouse can be unexpectedly dangerous . There’s mystery in the music of Alt-J: The band’s songs are wrapped in enigmatic textures, with swift shifts in arrangements inside every song and an oddness to the drums. Mere glimpses of lyrics are discernible, even after listening over and over — and if you can decipher the words, the meanings don’t necessarily follow immediately. Still, those words reside at the core of Alt-J, and they’re cinematic and stunning and sometimes brutal. Seeing Alt-J live in concert — or here at the Tiny Desk reveals a few of those mysteries, making a band that can be difficult on first listen a bit easier to digest. For one, seeing Joe Newman sing makes his words less oblique; for another, that curious rhythm at the foundation of the songs reveals not a hint of cymbals. And, though the drums are stripped down more than ever at the Tiny Desk, they still provide the essence of an original sound. Thom Green plays mostly with a mounted tambourine and cowbell for the sorts of things a hi-hat would accomplish — that tick tick sound, with the snap of the sound coming from a small-bodied 10″ snare called a popcorn snare. The sparseness that happens in the absence of crashing cymbals leaves a lot of space in the music. Alt-J are from Leeds, England — home to another of my favorite art-rock bands, Gang of Four. Both play angular, poetic music that takes unexpected turns, shifting gears when you least expect it. Alt-J made my favorite album of 2012, An Awesome Wave, and if you’re new to the group, the understated sound may get lost on you at first. But listen to the words and study how the songs evolve: No one else is making music like this. This is an original, innovative band with a brilliant present and a brighter future. After nearly three years , it looks like we’re finally going to be seeing some new music from Alt-J. With a preview unofficial video being posted online, fans have managed to uncover new information about the group’s new record. The group’s official YouTube account posted a video ‘00110011 01110111 01110111’. The track itself is an experimental piece whose title, it turns out, is actually binary code for ‘3WW’. The music is accompanied by trippy footage from the infamous Japanese PlayStation game LSD DREAM EMULATOR , which has long been used to accompany experimental, or psychedelic music in Youtube videos. The album’s artwork looks like, the fact that the LP is titled Relaxer, and that it should be released on June 9th. From the forthcoming album RELAXER out June 9th. The eight-track album is set to use the new teaser track ‘3WW’ as it’s opener, and with the intriguing instrumental sound that it uses, it looks as though Alt-J are back to their kooky, experimental sound that we’ve come to know and expect from them. With a tentative album release date of June 9th, could that mean we’ll be seeing the band touring during the late summer? Only time will tell, . Announcing the best news of the week by far! 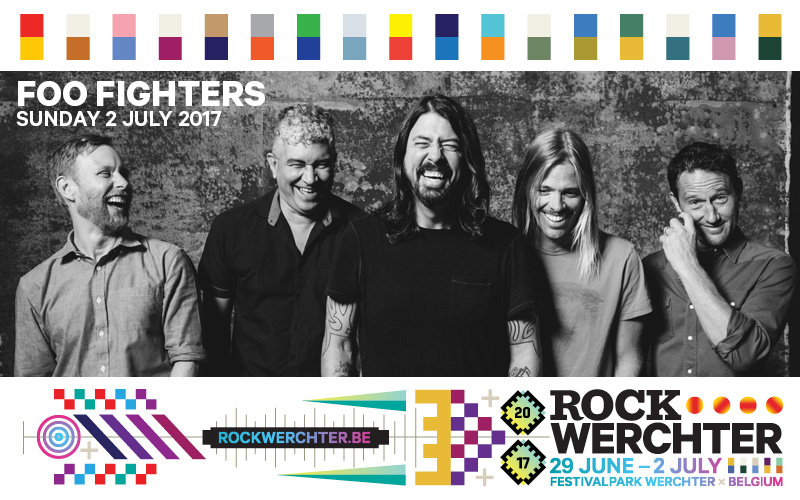 Foo Fighters – the premiere rock band of the 21st century – play Rock Werchter on Sunday 2nd July 2017. What a festival closing act! We now have announced four amazing names for the upcoming festival, which takes place in the Festival park in Werchter (Belgium) from 29th June to 2nd July 2017. Radiohead plays on Friday 30 June, Linkin Park and System of A Down on Saturday 1st July and Foo Fighters on Sunday 2nd July. More names to follow soon. In the 20+ years since the 1995 release of Foo Fighters’ self-titled debut, Dave Grohl, Taylor Hawkins, Nate Mendel, Chris Shiflett and Pat Smear have grown into a world class headliner dominating stadiums, arenas and festivals across the globe. The band’s massive catalogue of gold and platinum albums has won 11 Grammys, four Brit Awards, sold 25+ million records, and is the backbone of marathon shows powered by singalong anthems “Everlong,” “Monkey Wrench,” “My Hero,” “Learn To Fly,” “All My Life,” “Best Of You,” “The Pretender,” “Walk,” “Something From Nothing” and more. In 2015 Foo Fighters were forced to cancel their appearance at Rock Werchter, but they’ve made good on their promise to return and will bring Rock Werchter 2017 to a close on Sunday 2 July. The first name is in for Rock Werchter’s opening day. 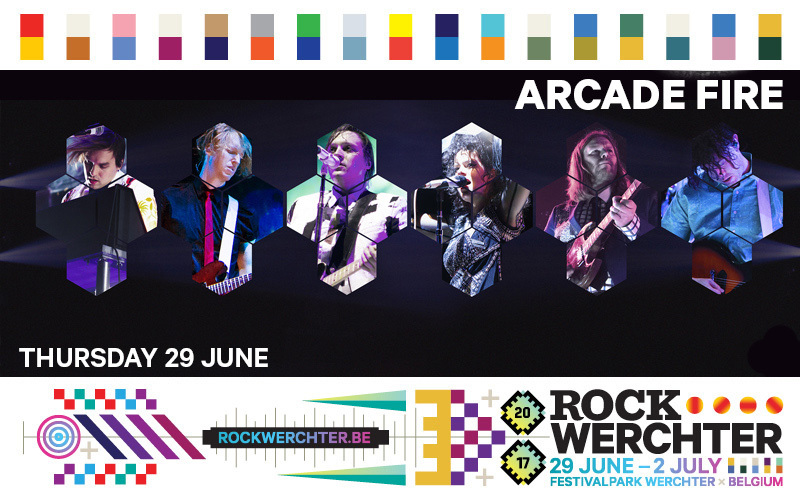 Arcade Fire will play the festival on Thursday 29 June. Rock Werchter hosts this five-star Canadian band for the second time. They were last here in 2010. 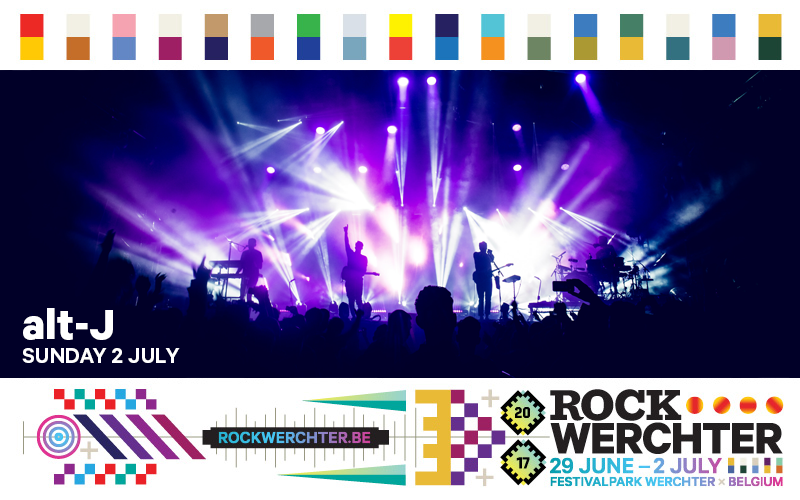 Five massive names for Rock Werchter 2017 -which takes place from 29 June to 2 July in the Festival Park in Werchter (Belgium)- are now in: Arcade Fire play on Thursday 29 June, Radiohead on Friday 30 June, Linkin Park and System of A Down on Saturday 1 July and Foo Fighters on Sunday 2 July. Every one of Arcade Fire’s albums is an artistic and commercial triumph. So, in the style of 1001 Albums You Must Hear Before You Die , with a silver lining: their amazing debut album, ‘Funeral’ (2004), is a fierce rallying call for beauty, emotion and absurdity in music. Artful rock with a punky outlook – a major lift in times of chaos and anxiety. ‘Neon Bible’ (2007) establishes the Canadian six-piece as one of the key bands of the 21st century. “It’s like standing beside the ocean at night”, or so its makers tell us. ‘The Suburbs’ (2010), their equivalent of ‘OK Computer’, is a prize winner, which – rightly, if a little unexpectedly – scooped a Grammy for Album of the Year. ‘Reflektor’ (2013) goes off ‘all guns blazing’ and shows what Arcade Fire still have to offer after all these years. Onwards and upwards to album number 5. That line just keeps on rising. Friday 4 o’ clock comes early today… Another great name just has been added to the Rock Werchter 2017 bill. The British trio alt-J play the Festival Park on Sunday 2 July. These guys are musical wizards. 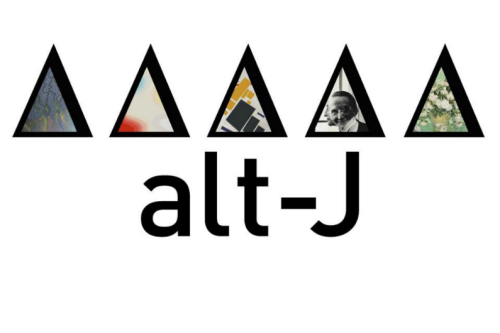 Type alt and J on an Apple keyboard and you get Δ, the Greek letter delta. It’s the symbol used by scientists to mark a change in value. We can be forgiven for saying that the alt-J trio have done something similar with the history of pop. They’ve created their own universe from the highlights of the last 60 years. And they’ve been as expert at this as they’ve been inventive. Alt-J reach their tenth anniversary in 2017. For Rock Werchter 2017, from 29th June to 2nd July, the first of the big names is in. Radiohead who will perform on Friday 30th June. Few artists combine success with experimentation the way Radiohead do. Their ninth album, A Moon Shaped Pool (2016), is yet another hard hitting and inventive artistic statement. It’s going to be great to see this band again. The last time they played Werchter was in 2008. Another amazing band has been announced for Rock Werchter 2017: LINKIN PARK! A band we’re always mad keen to see. Linkin Park top the wish list at any festival, and online streaming services place the American six-piece among their most-frequently-listened-to artists. The band even has two tracks in Spotify’s Top 10 timeless songs. Yes, with over a hundred million streams between them, ‘In The End’ (# 6) and ‘Numb’ (# 3) sit with the likes of ‘Billie Jean’ and ‘Smells Like Teen Spirit’. Having started as an alternative metal band in the mid-nineties, Linkin Park amassed bigger audiences by incorporating elements of hip hop and electronic music. Two front men give the band a distinct dynamic: Chester Bennington’s intense vocals bouncing off Mike Shinoda’s stellar raps. Linkin Park will play Rock Werchter on Saturday 1st July. 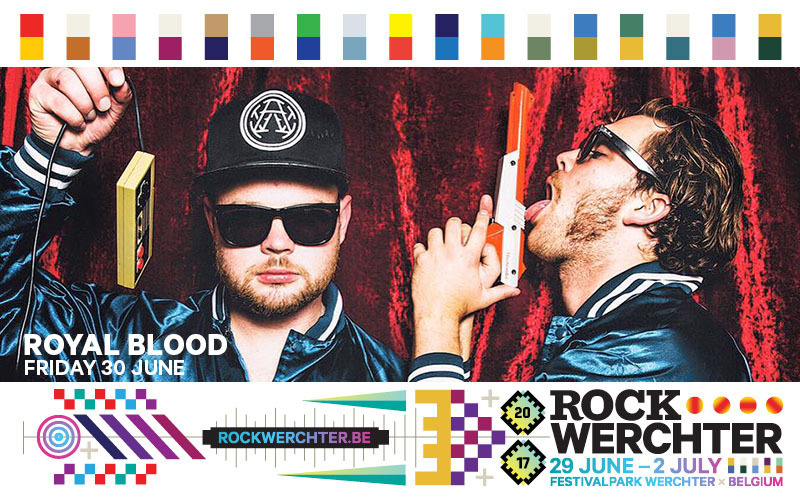 This will be the band’s second time at Werchter, having first appeared in 2011. Linkin Park is currently recording its 7th studio album. News extra. Because it is allowed. 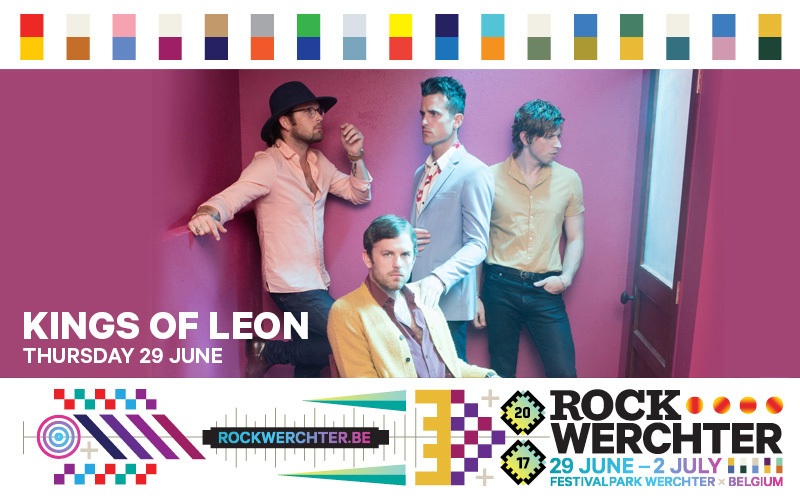 Because Kings of Leon have confirmed they will play the festival on Thursday 29th June . And that’s worth celebrating. The list of massive names for Rock Werchter 2017, which takes place from Thursday 29th June to Sunday 2 July at the Festivalpark in Werchter (Belgium), is gradually growing. As it stands: Kings of Leon and Arcade Fire play on Thursday 29 June, Radiohead on Friday 30 June, Blink-182, Linkin Park and System Of A Down on Saturday 1 July. Foo Fighters close the festival on Sunday 2 July. More to come soon. Tickets to Rock Werchter 2017 go on sale on Saturday 19 November at 10 am. Previously announced are Radiohead on Friday 30 June and System of A Down on Saturday 1 July. From the album ‘This Is All Yours’ Alt J have revealed the gloomy new video for “Pusher,” the latest single off the band’s This Is All Yours, Based on a concept by Alt-J frontman Joe Newman and brought to life by Division Paris and director Thomas Rhazi, the video features a man’s agonizing attempt to bring change to an uninformed society. “Pusher” is presented similarly to the Best Picture Oscar-winning Birdman, with the feel of one long shot cleverly divided by seamless cuts. It also introduces the red-billed quelea, the most common bird in the world, which will reoccur throughout the album. This very english band has now made three of my favorite albums of the 21st century. alt-J weaves unimaginable and otherworldly tales. Sometimes their art-rock songs lean heavily on folk traditions — their version of “House Of The Rising Sun” or their inclusion of lines from the Irish tune “The Auld Triangle” on “Adeline” or Shakespearean references in “3WW” come to mind. (That title refers to “3 worn words”: “I love you.”) And there are also lots of other literary references, including “Pleader,” inspired by Richard Llewellyn’s book How Green Was My Valley and Truman Capote’s In Cold Blood. But with all that said, it’s the sonic soundscapes that make these eight songs an album worth spending time with; no one makes music like this. “Relaxer” is choral, quirky and bewildering. 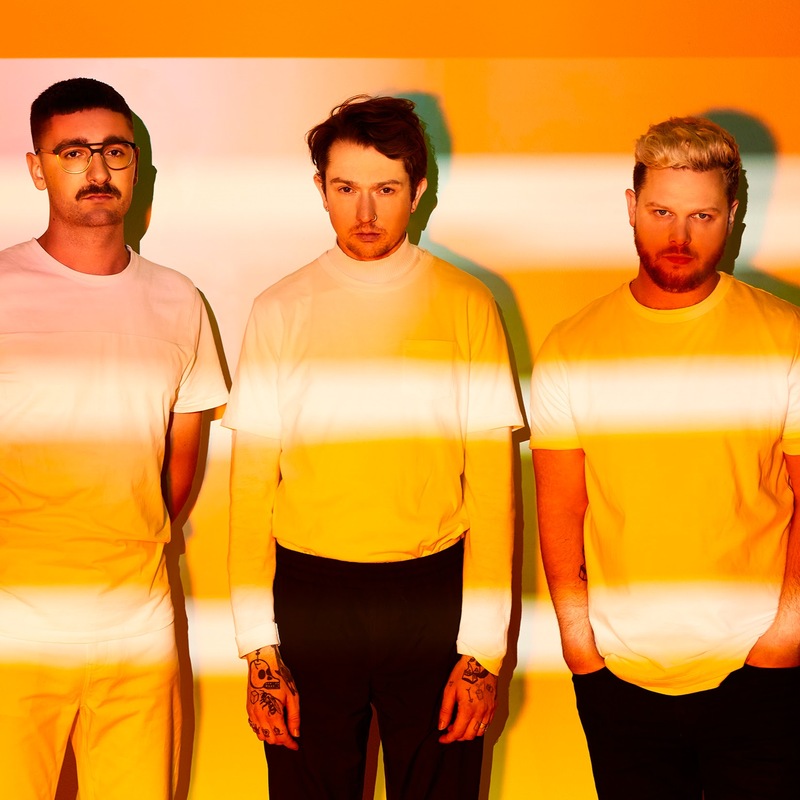 with a scuzzy synth sound, distorted guitars the British trio Alt-J releasing “This Is All Yours”, their much-anticipated sophomore album from late last year. Their videos for early singles “Hunger Of The Pine” and “Left Hand Free” were both strong but were vastly different from one another. And they’ve now made two videos for the winding, tricky “Every Other Freckle,” both full of images that seem randomly collected, though they’re all memorable and beautifully shot: Snakes, seagulls, buffalo. Those images repeat in both videos, but the videos aren’t carbon copies. The Boy version shows us a naked dude’s impressive muscles, while the Girl version does the same with a lady.